Oh, color changing lipsticks: We just can't quit you! What is it about them that makes them so uniquely alluring? Is it the throwback quality that brings us right back to high school? You know, those days with everyone trying on the same bright blue lipstick and eagerly turning to the mirror to see how it looked on each of us... Or does it go back even further; to the mood rings we got when we begged a quarter from our parents and popped it into the machine? Or is it simply the bewitching illusion that draws us in; the fact that it looks one color in the tube, then turns another hue on our lips, as if by magic? 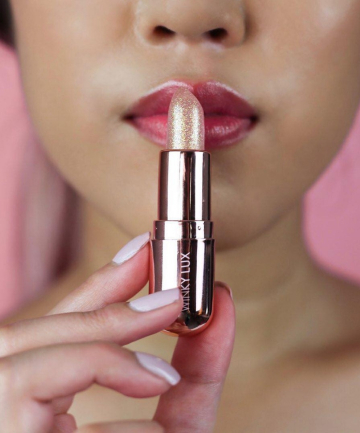 Well, any way you cut it, color changing lipsticks have come a long way since our salad days. Purportedly, they change to our perfect shade based on our pH (though it's actually more to do with a dye that reacts to water). The new formulas are also great for adding moisture and shine and they really do look different on everyone. The point is, if loving color changing lipsticks is wrong, we don't want to be right. Here, in no particular order, are the best of the best.